1. The panel of three Federal Judges currently examining the state legislative redistricting plan rammed through the Wisconsin Legislature by majority Republicans last summer continued yesterday to level withering criticism, condemnation and scorn on GOP legislative leaders for the way in which they drew up the new legislative boundaries and for the way in which it was done. "That's consistently been the biggest problem," Judge J.P. Stadtmueller said. "It's not been in keeping with the tradition of open and transparent government." Stadmueller and the other two judges on the panel have ruled that the Republicans can and should draw up a new redistricting plan and do it with public input and out in the open. But the Majority Republicans and their lawyers have said they can't or won't and so a trial commences today -- at 8:30 AM -- and is expected to last through Friday afternoon. For more on these developments go here, here and here. What is so abundantly clear to anyone observing this entire sad episode is how much Wisconsin needs to have the redistricting process handled by a non-partisan entity such as the Legislative Reference Bureau or/and the Government Accountability Board instead of by partisan legislative leaders. Wisconsin's redistricting process is currently among the most secretive and partisan in the nation. It doesn't have to be this way. It could be done with public input, and in a way that creates districts that make more sense geographically, keeping communities of interest intact. There could be many more, instead of fewer, competitive districts drawn to give voters more choice and thereby keep legislators more sensitive and attuned to voters. And, the whole redistricting process could be done without high-priced, secretive lawyers and at a fraction of the current cost to taxpayers. Contact both your State Senator and your State Representative and urge them not only to support Assembly Bill 198, but also to have it considered by both chambers of the Wisconsin Legislature next week. The 2011-2012 legislative session is scheduled to end in mid-March, so now is the time to get this reform passed so that it will be in place for 2021. If you are not sure who your state legislators are, go here. 2. Similarly, the Wisconsin Legislature ought to expedite consideration and passage of bipartisan legislation that would require outside special interest groups to disclose their donors when making widely-disseminated campaign communications masquerading as issue advocacy in the period of 60 days or less prior to an election. With the recall elections of Governor Scott Walker and three or four State Senators, the primary elections in August, and the November general election looming, tens of millions of dollars are likely to be spent just on state elections. Without this disclosure legislation as the law, much and likely most of the money being spent will not be known to Wisconsin voters who have the right to know who is trying to influence their vote and influence the candidates they are supporting. Much of this money could be coming from outside of Wisconsin and even out of the country. Wisconsinites ought to know who is behind that money. Senate Bill 446 would require outside groups who engage in sending widely-disseminated communications (primarily broadcast ads and mass mailings) that are really campaign communications masquerading as issue advocacy during the period 60 days or less prior to an election (primary or general) to disclose their donors. Currently in Wisconsin, outside special interest groups escape state disclosure, reporting and registration requirements by avoiding the use of the "magic words" such as "vote for," "defeat," "support," and the like. Obviously there are many other ways to engage in electioneering without using those express terms. The donors behind these phony issue ads -- which have escaped basic disclosure for years -- would finally be revealed to the public if SB 446 were enacted into law. Please contact both your State Senator and your State Representative and urge them to support Senate Bill 446 and have it be scheduled for debate and a vote next week. Again, if you are not sure who your state legislators are, go here. 3. A year ago today, the famous and infamous phone call occurred in which Scott Walker thought he was speaking with billionaire financier David Koch. During this conversation, Walker confessed to the imposter Koch about how he had planned to "drop the bomb" on Wisconsin citizens, initiating unprecedented political turmoil and divisiveness. But the "real" David Koch continues to bankroll many of Walker's activities and will be a major financial supporter of the Governor in the upcoming recall election. One of his entities has already spent $700,000 in support of Walker recently for issue ads. For more on this go here. 1. Here is some heartening good news that all (well, almost all) Wisconsinites should love ! Last week, Wisconsin State Senator Jon Erpenbach (D-Waunakee) introduced long-anticipated electioneering disclosure legislation that has bipartisan support! Senate Bill 446 would require outside groups who engage in sending widely-disseminated communications (primarily broadcast ads and mass mailings) that are really campaign communications masquerading as issue advocacy during the period 60 days or less prior to an election (primary or general) to disclose their donors. Currently in Wisconsin, outside special interest groups escape state disclosure, reporting and registration requirements by avoiding the use of the "magic words" such as "vote for," "defeat," "support," and the like. Obviously there are many other ways to engage in electioneering without using those express terms. The donors behind these phony issue ads -- which have escaped basic disclosure for years -- would finally be revealed to the public if SB 446 were enacted into law. CC/WI has worked closely with Senator Erpenbach -- with legal advice from the Brennan Center for Justice of New York University and from national Common Cause -- in fine tuning Senate Bill 446 so that it will be effective and constitutional. In addition to Jon Erpenbach, the other State Senate co-sponsors at introduction are: Michael Ellis of Neenah, Tim Cullen of Janesville, Dave Hansen of Green Bay, Jim Holperin of Conover, Julie Lassa of Stevens Point, Bob Wirch of Pleasant Prairie, Sheila Harsdorf of River Falls, Fred Risser of Madison, and Tim Carpenter and Chris Larson, both of Milwaukee. 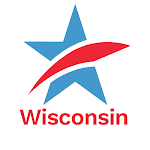 SB 446 was also co-sponsored by Representatives Penny Bernard Schaber of Appleton, Sondy Pope-Roberts of Middleton, Kelda Roys of Madison, Fred Clark of Baraboo, Bob Turner of Racine, Sandy Pasch of Whitefish Bay, Terese Berceau of Madison and Gary Hebl of Sun Prairie. The Republican co-sponsors are Senators Ellis and Harsdorf. The other co-sponsors are Democrats. Please contact both your State Senator and your State Representative and urge them to co-sponsor and support Senate Bill 446! If you are not sure who your state legislators are, go here. The fact that Senate Bill 446 has bipartisan support ought to doom any effort to pass anti-disclosure legislation such as Assembly Bill 196 and Senate Bill 139 that would prohibit the independent Government Accountability Board from even being able to promulgate an electioneering disclosure rule -- which is one of this agency's primary duties to the people of this state. CC/WI provided lead testimony against this abominable measure that you can find out more about here, here, here and here. 2. Last week there was incredible and almost unfathomable bombshell news that the majority Republicans in the Wisconsin Legislature signed secret oaths of confidentiality last year not to talk about the new districts being drawn by lawyers of a big Madison law firm with taxpayer dollars, together with GOP legislative staff members. The 2011 redistricting process was the most partisan, secretive and convoluted in the last 50 years and it screams for reform. These latest revelations of secrecy in which Republican legislators were urged to ignore public input (which they did) point to the need to ditch the current, disgraceful and discredited process. Assembly Bill 198 would remove the redistricting process from the partisan legislative leaders and their minions (and from the high-priced lawyers operating in secret) and would instead direct the non-partisan Wisconsin Legislative Reference Bureau and/or the independent Government Accountability Board to draw state legislative and congressional district boundaries every ten years. The result would be a redistricting process that takes place out in the open, at a fraction of the cost, and competitive districts that make sense and provide choice to voters. Today -- Valentine's Day -- CC/WI will participate in a press conference in the Assembly Parlor of the State Capitol at 11 AM with other reform advocates and some pro-redistricting reform legislators to talk about these latest developments. 3. Just over two weeks ago, criminal charges were lodged against two individuals who worked in the office of then-Milwaukee County Executive Scott Walker for engaging in illegal campaign fundraising activities (for Walker's 2010 campaign for Governor). The Deputy Chief of Staff to Walker was charged with several felony counts and another staff member was charged with a misdemeanor in return for her continued cooperation in the "John Doe" secret investigation being conducted by the office of Milwaukee County District Attorney John Chisholm. Chisholm's predecessor in that position for more than 35 years was E. Michael McCann, who has been a member of the Common Cause in Wisconsin State Governing Board for six years. McCann prosecuted former State Senate Majority Leader Chuck Chvala (D-Madison) for felony misconduct in public office ten years ago in circumstances eerily similar to the allegations against the Walker staffers. Mike McCann appeared last Friday on Wisconsin Public Television's public affairs program Here and Now to explain the John Doe process and what may happen next in the investigation. Two weeks ago, when the charges were made, CC/WI Director Jay Heck provided extensive comment on this seemingly ongoing scandal here, here, here, here and here.